I never, ever want to be without this product. It covers redness, allows freckles to be seen, gives a dewy finish and has SPF 50! I use it on no makeup-makeup days, I use it on 'wow she definitely is wearing a lot of makeup' days and everything in between. The shade range is small, which is the only downside of the product for me. If they have your shade, I'd definitely give this a go. This spray is basically super glue for your makeup. If I know the weather is going to be humid, I put this on my face. Simple as that! It stops that yucky 'I'm not sure if sweat is dripping on my face or if my foundation is running' feeling, which I am all for! I have had this product for over a year now and I definitely have months where I use it more than others. I often switch between using this and Brow Wiz, sometimes a combination of the two. For January and February I have been loving it! I've never fell in love with a moisturiser before this one. I've used plenty, I've liked plenty. I just feel so strongly about this one! First of all, the mild citrus scent is almost addictive for me. Secondly, my skin feels so soft and plump when I use it. I've been using it before my primer of a morning and it keeps my dry skin feeling good all day. I have three words for this product: worth the hype. 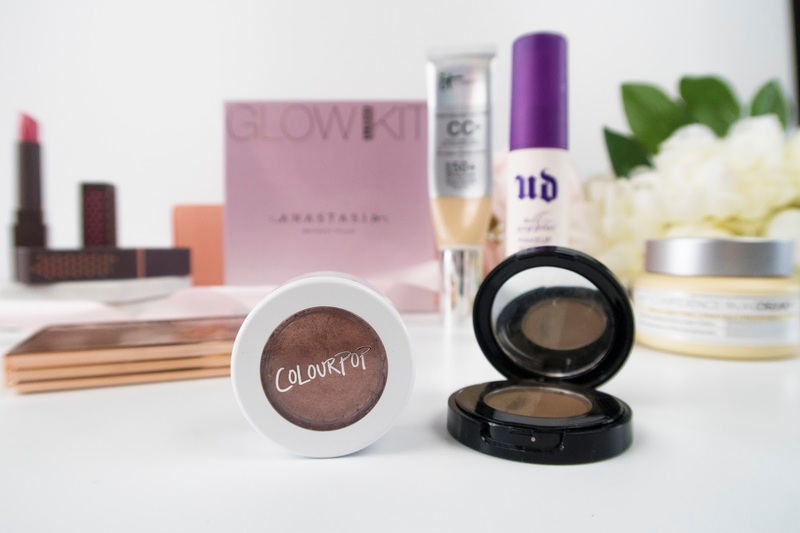 These powders are absoloutely stunning! They leave the skin looking sunkissed and radiant and just so damn pretty! I held off on trying this for so long because of the price tag, but it is worth every cent. These lipsticks have been living in my handbag since I got them. 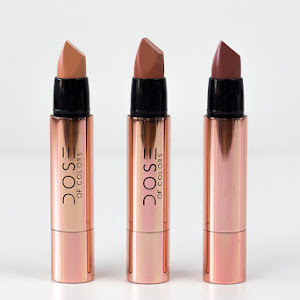 The formula is insanely hydrating for a lipstick that doesn't lack pigment. They last a few hours on the lips before wearing off evenly. I can see myself picking up more of these soon. 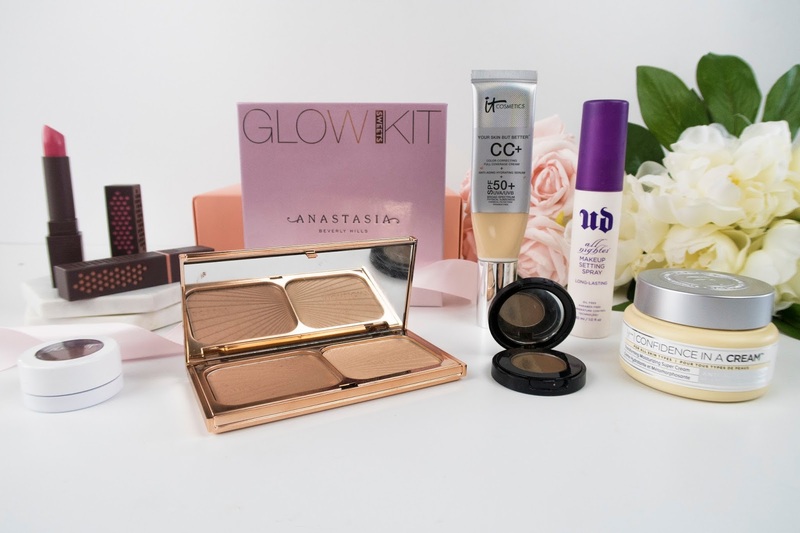 The Anastasia Beverly Hills Glow Kits are already my favourite highlights. 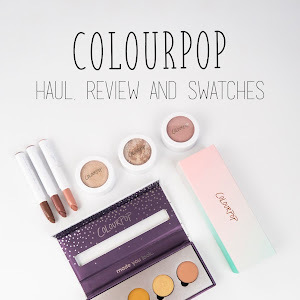 The formula is so soft and can be built up from a subdued highlight to a blinding glow. The shades in the Sweets Glow Kit are so beautiful, I haven't been able to resist them this summer. 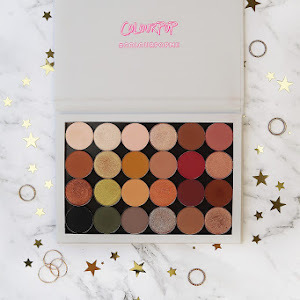 You know you love a Colourpop shade when you don't even care about ruining the embossing. I have been packing this shadow all over my lid since I got. It is the prettiest rose gold shade and packs a punch with pigment. That's a wrap from me. What products have you been using a lot lately? I'm always looking to add things to my wishlist and make my wallet cry. Great post - I love your blog! I freaking love the UD setting spray! By the way- what widget did you use to get your mail link underneath your picture? Pull the trigger on that Filmstar Bronze and Glow! You won't be let down by it! 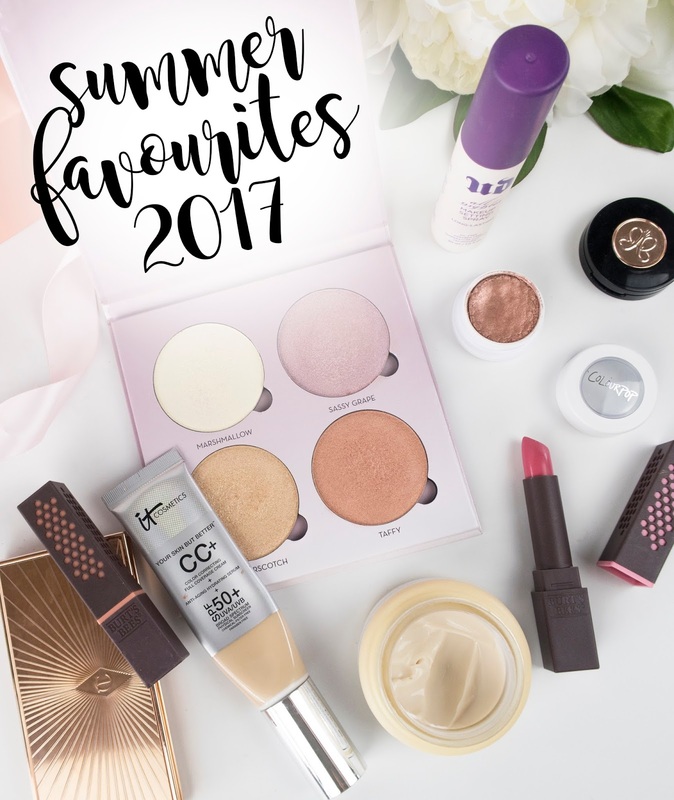 So many goodies here - I am in love with the CC Cream too - never without it and always have a backup. I love that it comes in a mini size too, makes it perfect for travelling! I think I really need that CT palette too - it looks and sounds amazing. I want to get my hands on that CT highlight/bronzer.